Summer is now officially over and today was the first day of Fall! Kids young and old across the nation have settled back into school routines. This also means football season is well underway and here at First Preston HT we love college football. It’s time to make some new friends, revive old rivalries, and plan some memorable tailgate parties! Tailgating is an American tradition that is often marked by a great mix of fanatical sports fans, savory foods and ice cold drinks. Every college has their own tailgating traditions and here are a few that stand out. TCU (Texas Christian University in Fort Worth, TX) Football fans host their tailgate at Frog Alley where there is live music, live radio broadcasts, and bounce houses. SMU (Southern Methodist University in Dallas, TX) holds its southern style tailgates on “The Boulevard” which is the main strip that runs down the center of campus. Students dress to the nines and enjoy a parade by the band and cheerleaders that leads football fans to Ford Stadium for the game time kickoff. Ole Miss’ (University of Mississippi in Oxford, MS) hosts their tailgates on The Grove, a picturesque ten acre area lined with trees, while keeping things classy and sophisticated as students as well as alums wear their best in school colors and Rebel pride. This is far from the typical parking lot atmosphere. UT (University of Tennessee in Knoxville, TN) fans tailgate on boats off the docks outside of Neyland Stadium on the Tennessee River as part of what is known as the “Vol Navy”, a flotilla of some 200 vessels, some tricked out with slides and bubbly hot tubs. LSU (Louisiana State University in Pineville, LA) Tiger fans are known for putting extra effort into their pregame grub, offering up dishes like jambalaya, fogs legs, alligator and crawfish. For this reason they don’t mess around with the cookware either, they use massive grills, pots, smokers, etc. Harvard (Harvard University in Cambridge, MA) hosts a wine and cheese soiree the night before their big game against college rival, Yale. Pre-game events such as alumni luncheons, recent grad get-togethers, and family events take place as well. Also of note is the joint Harvard-Yale tailgate parties that take place in the fields next to the host stadium each year. First Preston HT wants to know: What are your favorite tailgating traditions? There is no getting around the heat this time of year. It’s hot enough to fry an egg on the sidewalk here at the First Preston HT corporate site. Most of us crave ice cold drinks and dips in a cool swimming pool to rescue us from the sweltering sun. For those that live in apartment or condo dwellings, swimming pools are generally part of offered amenities that are easily taken advantage of during the summer. Some homeowners and renters have the option of going to a community pool if there is one nearby, or better yet, can enjoy a refreshing swim if a swimming pool is right in their backyard. Since not all homes have swimming pools to offer relief from the long summer days, it can be more than temping to seriously contemplate a decision to make this an addition to your backyard landscape. But what are the costs involved and is it worth the investment in the long term? Deciding to add a swimming pool to your home is a big decision and it can be very helpful to implement some cost benefit analysis when reaching a decision. 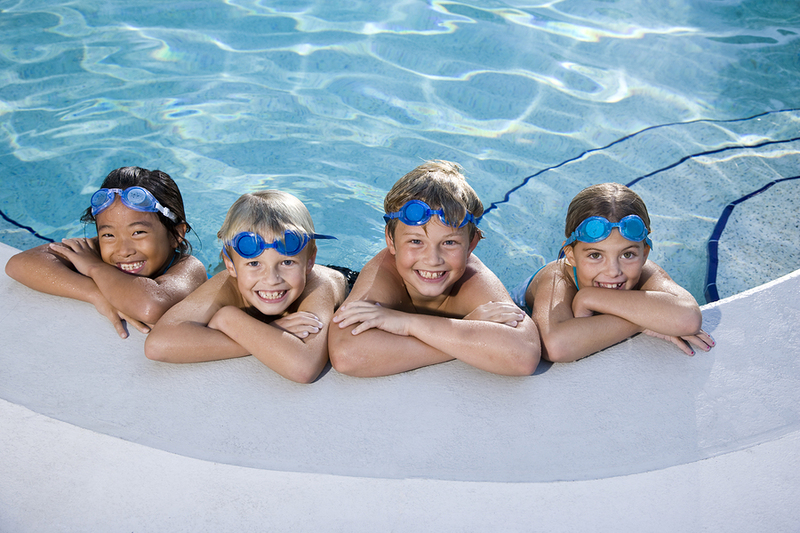 Types of Swimming Pools: First decide which type of swimming pool you want to have installed. There are two main types: above ground and in-ground. Costs: Above ground swimming pools are much cheaper to have added to your home. The average 19’ diameter above ground pool is $6,243 according to P.K. Data. 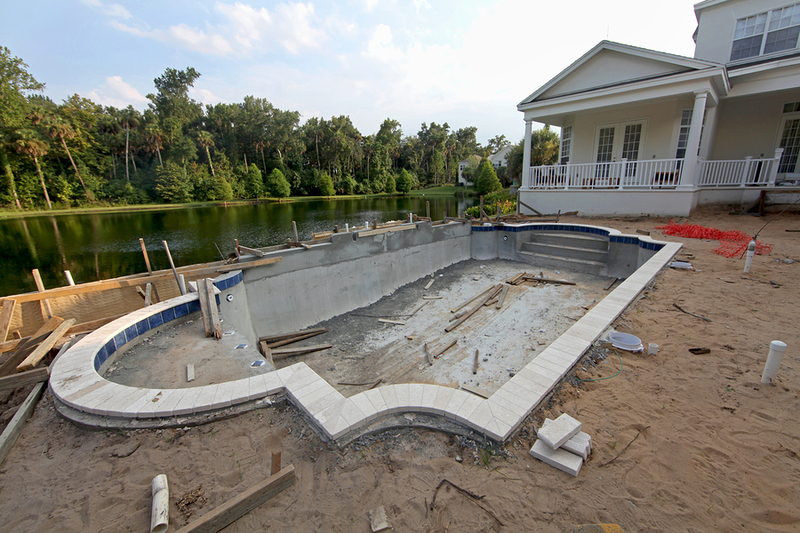 The average 32’x16’ in-ground swimming pool will cost $21,919. Of course the size of the swimming pool and the depth directly affect the cost. For every square foot of an in-ground pool, expect to pay around $50. Installation/Construction: Above ground swimming pools might require some site preparation to level the ground area and provide access to electrical service for the pump that circulates the pool water. In-ground swimming pools require site preparation as well but to a much higher degree. The swimming pool is then lined. A vinyl lining is the least costly averaging $18,000 while a fiberglass lining will run about $20,000. If opting for concrete, the cost can run from $20,000 up to $50,000 to install. In-ground pools also usually need a surrounding patio and fencing installed which will increase the overall cost. Maintenance: The water treatment chemicals alone can cost around $80 a month for above ground swimming pools and $95 a month for in-ground pools. Cleaning tools including brushes, a vacuum, covers, and heaters start around $400 and can increase into the thousands (a solar heater can cost around $5,000). These are just some of the basics. Add-ons: Perhaps you wish to add a diving board, slide, spa, or lighting to the in-ground pool. If you opt to add these or other amenities to your swimming pool the cost can continue to increase. Home Value: While it might be nice to have the convenience of a swimming pool in your backyard, what does it do for your overall home value and is it worth the investment? 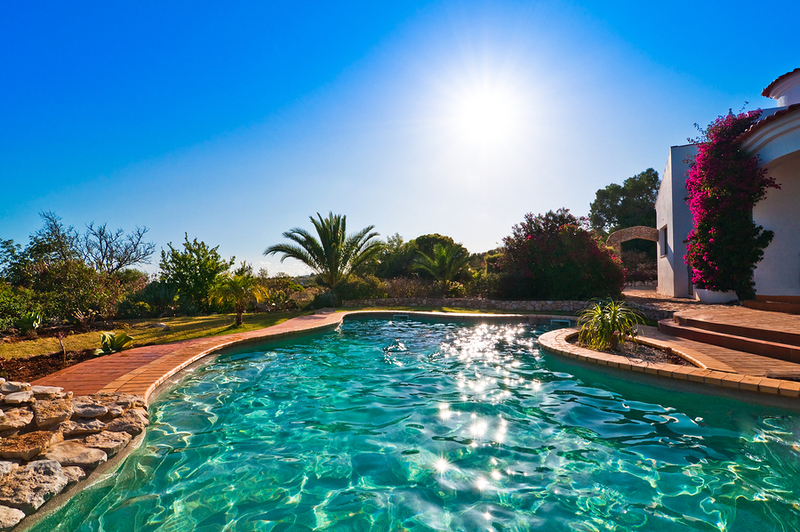 Some experts say that having a swimming pool can actually make your home harder to sell as many buyers see it as a liability rather than a luxury. However, in the right circumstances it could boost your home value by as much as 7% according to Houselogic estimates. This is dependent upon the climate you live in, the pool to additional back yard ratio, whether you live in a higher-end neighborhood where most houses have pools, as well as the style of the pool and how it fits with the home design. It is a significant investment and decision that comes with a commitment to maintenance that deserves your careful consideration. In the end, if enjoying a cool refreshing dip in the water is something you desire, we hope you have access to a swimming pool nearby or in your own backyard to escape the summer heat. For information on effective ways to manage institutional and individual portfolios nationwide, or to shop for real estate visit First Preston HT. Like us on Facebook. Follow us on Twitter. I have had several friends in the past few month welcome new bundles of joy into their homes. Our First Preston HT Team has also had a few new babies. It’s an exciting time for new parents but can also be overwhelming. Parents want the best for their children and with so many baby products on the market today, how do you know which ones are safe and healthy for them? Talc – This powdered mineral which can be found in baby powder (and cosmetic powders) is used as a drying agent but has been found to be carcinogenic (potential to cause cancer). Some companies have shifted to talc-free baby powders but make sure to read the label. Green Choice – California Baby Calming Organic Powder which is free from talc and uses organic lavender for scent instead of toxic fragrances. Mineral Oil – This oil is a cheap byproduct of the distillation of petroleum used to produce gasoline. It is found in baby oil and clogs skin pores acting as plastic wrap on the skin which can lead to breakouts. 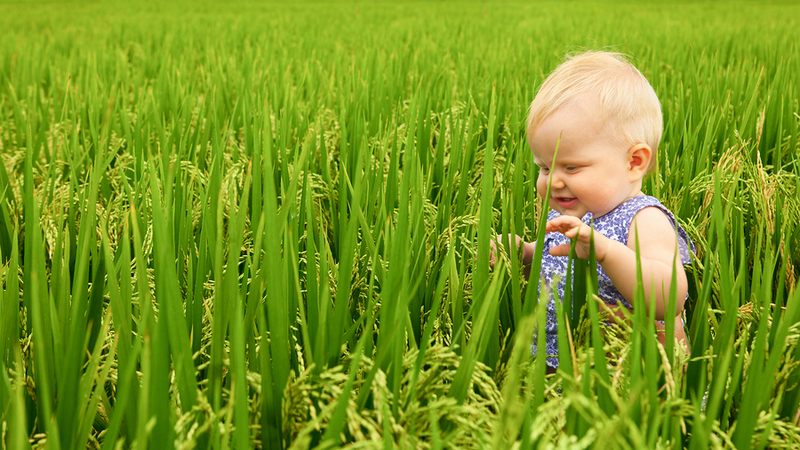 Green Choice – Use organic nourishing oils like coconut or sweet almond to massage into your baby’s skin. Parabens – These are lurking pretty much everywhere and are known to disrupt hormones, cause skin irritation and reproductive toxicity. Lower your baby’s exposure to them by checking the baby product labels of soaps, body washes, shampoos and lotions. Green Choice – Earth Mama Angel Baby Shampoo contains no toxic chemicals and is gentle on the skin. Propylene Glycol – This chemical enhances the penetration of difference substances and can be carcinogenic. It’s used in wiper fluid and for de-icing airplanes and can be found in baby wipes frequently. Green Choice – The Honest Co. Baby Wipes which are also chlorine-free. 1,4-Dioxane & Ethylated Surfactants – While this is never listed as an ingredient, it’s been found in 57% of baby soaps and is a known breast carcinogen. Ingredients that contain the letters “eth” are an indicator that 1,4-dioxane is present. Green Choice – Burt’s Bees Baby Wash which is toxin free. Sodium Polyacrylate (SAP) – Found in the absorbent center of disposable diapers, this compound can lead to skin irritation, staph infections and other health problems. It was once used in tampons until it was found to be responsible for cases of Toxic Shock Syndrome. Green Choice – Diaper services will deliver clean cloth diapers weekly or monthly and remove used and clean them for redelivery. Another option is gPants and gDiapers which are disposable, dioxin and chlorine-free. Hydrogenated Cottonseed Oil – This skin conditioning agent may be contaminated with mercury, arsenic, lead and pesticides according to the Environmental Working Group. It can be found in moisturizers and ointments. Green Choice – The Honest Co. Organic Healing Balm which is free from harsh chemicals, oils, and is hypoallergenic. If you have a newborn First Preston HT congratulates you and hopes you find these tidbits on baby products helpful and informative. For information on effective ways to manage institutional and individual portfolios nationwide, or to shop for real estate visit First Preston HT. Like us on Facebook. Follow us on Twitter. As the First Preston HT team gets ready to celebrate our great nations’ adoption of the Declaration of Independence, (better known as the Fourth of July) images of picnics, barbeques, pool parties, and fireworks come to mind. One of my favorite parts of celebrating the Fourth is watching incredible firework displays. For those of us with furry family members it’s important to know how fireworks can affect our pets and how to practice pet safety. Unfortunately they don’t enjoy the sounds and sights of fireworks like their human friends do. 1. Keep your Pet Indoors at All Times! – It may seem obvious, but even if your pet is used to being outside, the resulting panic caused by fireworks or other loud noises may make them break their restraint or jump a fence in a terrified attempt to find safety. 2. Don’t Put Insect Repellent on Your Pet that isn’t Specifically for Pet Use – The same tip applies to applying “people” sunscreen on your pet. What isn’t toxic to humans can be toxic to animals. The ASPCA lists the poisonous effects of sunscreen on your pet as, “…drooling, vomiting, diarrhea, excessive thirst, and lethargy.” DEET, a common insecticide, may cause neurological issues. 3. Alcoholic Drinks Poison Pets – If your pet drinks alcohol, they can become dangerously intoxicated, go into a coma, or in severe cases, die from respiratory failure. Yes, even beer is toxic; fermented hops and ethanol are poisonous to dogs and cats. 4. Going to a Fireworks Display? Leave Your Pet at Home – The safest place for your pet is at home, not in a crowded, unfamiliar and noisy place. The combination of too many people and loud fireworks will make your beloved pet freak out and desperately seek shelter. Locking them in the car is also not an option; your pet may suffer brain damage and heat stroke. 5. Have Your Pet Properly Identified – If your pet manages to break loose and become lost, without proper identification it will be that much harder to get them back. Consider fitting your pet with microchip identification, ID tags with their name and your phone number, or both. It is also a good idea to have a recent picture of your pets in case you have to put up signs. 7. NEVER Use Fireworks Around Pets – While lit fireworks can pose a danger to curious pets and potentially result in severe burns and/or trauma to the face and paws, even unused fireworks can be hazardous. Some fireworks contain potentially toxic substances such as arsenic, potassium nitrate, and other heavy metals. 8. Don’t Give Your Pet “Table Food” – If you are having a backyard barbeque, you may be tempted to slip some snacks to your pet. But like beer and chocolate, there are other festive foods that could harm your pet. Onions, coffee, avocado, grapes, raisins, salt, and yeast dough are all possible hazards for dogs and cats. 9. Lighter Fluid and Matches Are Harmful to Pets – The ASPCA lists chlorates as a harmful chemical substance found in some matches that, if ingested, can cause your pet difficulty in breathing, damage blood cells or even cause kidney disease. If exposed to lighter fluid, your pet may sustain skin irritation on contact, respiratory problems if inhaled, and gastric problems if ingested. 10. Citronella Insect Control Products Harm Pets Too – Oils, candles, insect coils and other citronella-based repellents are irritating toxins to pets, according to the ASPCA. The result of inhalation can cause severe respiratory illnesses such as pneumonia, and ingestion can harm your pet’s nervous system. 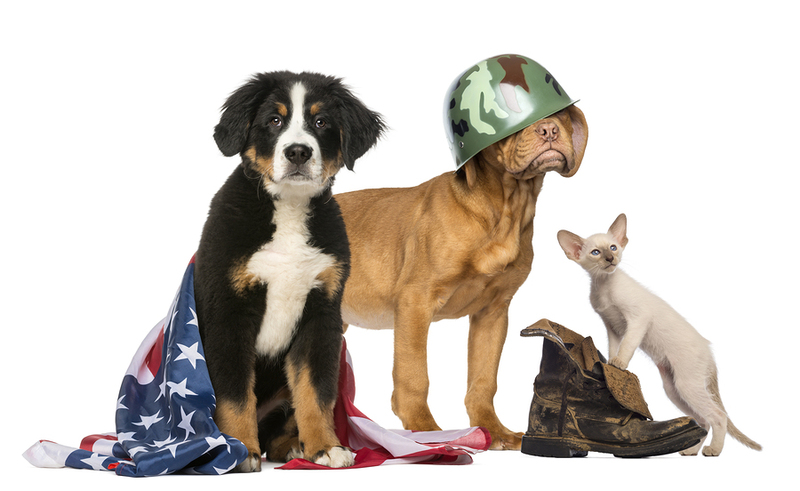 First Preston HT wishes you, your family and pets a safe and happy Fourth of July. For information on effective ways to manage institutional and individual portfolios nationwide, or to shop for real estate visit First Preston HT. Like us on Facebook. Follow us on Twitter. 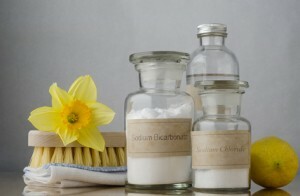 Going green is certainly not a new term, especially when it comes to cleaning products. Green cleaning products are made without toxic chemicals and environmentally harmful ingredients, making them safe for humans and our furry friends. The average household contains around 62 toxic chemicals according to environmental experts. Many people are making the switch in their homes to these safer products but what’s really lurking in your conventional household cleaners? Your First Preston HT team did the dirty work and we found what’s hiding in conventional cleaners and offer some green cleaning options. 1. Ammonia –found in polishing agents, glass, and window cleaners. It keeps surfaces free from streaks. Ammonia is a strong irritant that can lead to chronic bronchitis and asthma from frequent exposure. Individuals already diagnosed with asthma or elderly people are at higher risk of symptoms. Green Choice: Use toothpaste for polishing silver and vodka for any metal or mirrored surfaces to create a nice shine. Also check out natural cleaners at your local Whole Foods or other natural grocery store. 2. 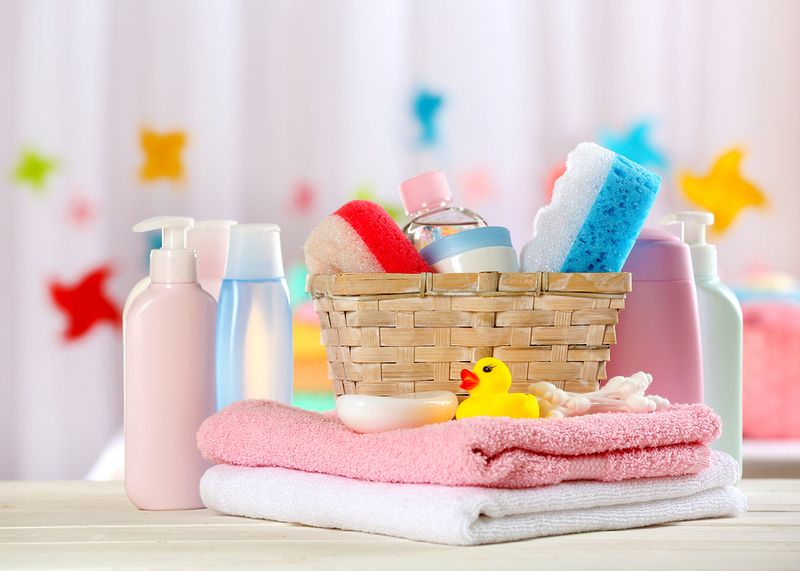 Phthalates – found in several household products with added fragrance (i.e. air fresheners and hand soaps) that increase their flexibility, transparency and longevity. Look for these abbreviations: DBP, DEP, BzBP, and DMP. This ingredient doesn’t have to be listed by law so if you see the word “fragrance” on the label it’s safe to assume this means that phthalates is present. Phthalates are endocrine (hormone) disruptors which have been linked to low testosterone levels in men, interference with normal brain function, and could result in Autism, Breast Cancer, Testicular cancer and reduced sperm counts. Green Choice: Opt for fragrance free or products that use organic essential oils. 3. Triclosan – found in liquid dishwashing cleaners as well as antibacterial hand soaps is an aggressive antibacterial compound. Scientific evidence has documented its adverse health effects, including endocrine function particularly to the thyroid, and skin irritation. Some reports have even shown that these antibacterial products are no more effective than regular soaps. Green Choice: Avoid products labeled “antibacterial” and look for a hand sanitizer with natural ingredients that are alcohol-based. 4. 2-Butoxyethanol – found in multi-purpose cleaners including window and kitchen cleaners. This chemical gives products a sweet smell and is not required by law to be listed on the product’s ingredient list. Exposure to this can cause sore throats. If you are cleaning in a confined area you can be exposed to levels that are higher than the workplace safety standards according to the EPA. High exposure can contribute to narcosis, server liver and kidney damage, and pulmonary edema. Green Choice: Use diluted vinegar with newspaper to clean mirrors and windows or opt for making your own at DIY – home cleaner using baking soda, vinegar and essential oils. 5. Sodium Lauryl/Laureth Sulfate (SLS) – found in many soaps and detergents including shampoo, hand cream, toothpaste and cleaners. This chemical helps to break down surface tension in water. SLS has been known to cause skin inflammation and might mimic estrogens, cause hair loss, damage teeth and could lead to cancer. Green Choice: Opt for organic or natural cleaning products like Mrs. Meyer’s or Method which is carried at most home retailers and grocery stores. Making the switch to green cleaning products isn’t just helpful to the environment; it’s good for you, your children and your pets. It’s important to be an informed consumer. While these green cleaning products can cost more they can be worth it in the end. You can even make your own cleaning products from items you probably already have in your kitchen cabinets for budget friendly cleaning solutions. First Preston HT hopes you found these tidbits useful to keeping your home a safe, clean, and happy place. For information on effective ways to manage institutional and individual portfolios nationwide, or to shop for real estate visit First Preston HT. Like us on Facebook. Follow us on Twitter. It’s not uncommon to hear homeowners say one of their financial priorities is to pay off their mortgage as quickly as possible. The First Preston HT Blog team hears this topic discussed all the time from people in their early 30’s to those nearing retirement. The thought of being debt free and owning your home free and clear brings a sense of security and comfort. The financial crisis that began in 2008 is still fresh on our minds and has led many people to approach their finances, including their mortgage, with a more conservative nature, think along the lines of “pay off all debts and save, save, save.” This seems like fairly logical and prudent advice. But the decision to refinance into a short-term loan or make extra mortgage payments might not be the best advice for everyone. If you are nearing retirement and don’t have an adequate amount in your retirement funds, directing your money into an illiquid asset (your house) might be a bad decision. Here are a few points to consider before choosing to pay off your mortgage as quickly as possible. Do you have enough money in savings? It’s very important to have an emergency fund that can cover three to six months’ worth of living expenses. Earlier data from Bankrate.com indicates that only 38% of Americans have enough money in savings to pay for unexpected expenses. This is a goal that everyone should work toward regardless of whether you are a recent college graduate or nearing retirement. If an emergency occurred like losing your job or needing a serious surgery, your home equity can’t pay these bills. Do you have “bad debt?” You have probably heard the terms good debt and bad debt in regards to your credit score. Bad debt includes high interest credit card balances. Pay off these balances to keep from paying the attached high interest rates. This will get you one step closer to achieving your debt free goals. As a bonus, your credit score should improve which will be helpful if you do decide to refinance to a shorter term loan. Are you maxing out contributions to your retirement accounts? If you are just starting out in your career it’s a great idea to begin contributing a portion of your monthly earnings to a retirement account. The power of compounding rate of return should not be underestimated! For those closer to retirement, specifically if you are 50 or older, the IRS allows what they call “catch up contributions” to be made to your IRA and 401(k). These contributions are also tax free unless you have Roth accounts these funds are directed to. If you have a solid emergency fund, have paid off all your bad debt and are maxing out our retirement contributions then you might consider paying off your mortgage in a shorter time frame. If you don’t consider yourself financially savvy, seek financial advice from a profession who can look at your personal financial situation offer customized advice. First Preston HT hopes you found this information useful and that it will encourage you to plan for your financial future. For information on effective ways to manage institutional and individual portfolios nationwide, or to shop for real estate visit First Preston HT. Like us on Facebook. Follow us on Twitter. Home renovation is booming based on recent retail sales reports that show strong performance for retail home improvement companies such as Home Depot. Here at First Preston HT and Castle Peak Homes, we know a thing or two about remodeling and what an undertaking it can be, especially if it’s your first time. There are some new websites that are promising to help make your home project less of a hassle. Remodeling companies and professionals are hopping on the digital bandwagon in hopes of reaching those that prefer to do things via their smart phone or tablet. Architects, contractors, plumbers, design-build firms, as well as product manufactures are starting to offer their services on sites like Houzz, Porch, Remodelaholic, DIY Network and HGTV. While this is an extra cost for these service providers, it appears to be paying off. Houzz is a website and mobile app for home remodeling and design that brings together homeowners and home professionals. The website offers consumers beautiful photos of homes by room for design inspiration, a professional service locator, a way to buy home furnishings and advice on remolding. If you are thinking about remodeling and looking for tips or inspiration, this is a great place to start. Porch is another online company that helps connect homeowners with local professionals. It also provides a free resource, the Porch Home and Neighborhood Report, for understanding the remodeling and project history of a specific home as well as neighborhood data on completed projects. This report is offered for any active listing on Realtor.com. Like Houzz, they too provide lots of inspirational photos of impressive renovations which include project cost and the professionals that completed the project. Remodelaholic (the name speaks for itself) features guest bloggers that touch on topics addressing DIY projects that homeowners can tackle themselves to save money as well as other homestead areas of interest. DIY Network and HGTV, both cable network channels, provide resources for how-to and DIY projects as well as photos of remodels and videos providing tips and advice. In case you haven’t caught them on TV while channel surfing, they also air several different television shows that focus around remodeling and DIY projects in and around the home. Try utilizing one or more of these resources for your next home remodel. We hope it inspires you and makes the process enjoyable. For information on effective ways to manage institutional and individual portfolios nationwide, or to shop for real estate visit First Preston HT. Like us on Facebook. Follow us on Twitter. It’s about that time of year when we start dreaming about escaping the confines of a cubicle or classroom for a much needed summer vacation. If you are like me or some of our First Preston HT team members, you’ve been daydreaming about it since the cold winter months. Whether you plan to travel with your family, friends, or go it solo, a great summer vacation can leave you with great memories that last a lifetime. However, it can also put a dent in your wallet quickly if you haven’t saved up in advance. Summer vacations are meant to leave us feeling rested, relaxed and refreshed. No one wants to come home from a nice trip and then stress about the money that was just spent. Whether you are planning a low budget weekend getaway or a luxurious week-long retreat who doesn’t like to save money or get a great deal? Here are a few tips to help your dollar stretch farther this summer. Travel during Off-Peak Times – Airfare during peak summer months and summer holidays can increase by more than 50%. Book your travel plans for before June 20 which marks the official start to summer. Airlines, hotels, and cruises tend to raise their prices during this time. Check out mobile apps like Kayak or OnTheFly (an ITA Software by Google) to help locate the best price fairs and set price watch alerts. If you do have to travel during the peak season, book flights for arrival and departure during the week which tend to cost less than flights during the weekend. Tuesdays still tend to be the best day to purchase airfare too! Forego the Hotel Room – In recent years, travelers have shifted away from staying at hotels and have taken to a new trend – vacation rentals. While this might sound more expensive it can actually save quite a bit of money, especially if you are traveling with friends or extended family. Additionally, renting a house or condo usually provides access to a full kitchen giving the option to cook some of your meals instead of eating out at expensive restaurants. Check out airbnb.com for rentals across 190 countries. You might even consider listing your home on a vacation rental site like this to earn extra cash while away on vacation. Set and Stick to a Budget – It can be hard to do if caught up in the moment while on vacation but it’s important to stick to a planned budget to keep from experiencing potential buyer’s remorse later. There are mobile apps that can help, including SmartyPig and Mint.com. Start setting aside travel funds early. The More, the Merrier – Invite more friends or family to join the trip and split the cost among everyone. This can save lots of money on the hotel or vacation rental and also makes for more fun! This has always been one of my favorite money saving travel tips, go with friends no matter what the time of year. Pre-plan Meals – Dinning out on vacation can be one of the largest expenses incurred once arriving to your destination. If your accommodations allow for it, cook a few meals instead of eating out. Locate the nearest local farmers market or grocery store before arriving and plan to make a visit once you get settled. It is also a big money saver to buy wine or other adult beverages at the store instead of paying premium mark ups while out and about. Check your Rewards – Most travelers have a frequent flyer mile programs, hotel points and credit card rewards. Before deciding on your summer vacation destination, review all your reward programs to identify any special deals that would allow you to cash in points. If you are not a member of any rewards program, now is a great time to start. Next time you stay at a hotel or fly, ask a representative for information about joining their loyalty program and sign up. Preferred customers sometimes receive special perks. Whether you have planned a summer vacation far away from home or have decided to enjoy a staycation, First Preston HT hopes you enjoy your time relaxing and enjoying quality time with your loved ones. For information on effective ways to manage institutional and individual portfolios nationwide, or to shop for real estate visit First Preston HT. Like us on Facebook. Follow us on Twitter. Part I of this blog post from the First Preston HT team focused on how to help increase the value of a house through maintenance, landscaping and lite remodeling before selling it. In Part II, we address the choices a seller has when putting their home up for sale and other things to consider before it hits the market. First Preston HT knows buying and selling a house will be one of the largest financial decisions a person makes in their lifetime and we want to help you feel knowledgeable about this topic to enable you make educated decisions. Hire an Agent or Sell It Yourself – A real estate agent can handle the marketing of a property and also determine the best selling price of a house. However, this service doesn’t come free and will cost around 5-6% of the selling price. Selling the property yourself will save the commission but the seller may miss out on the experience and added services that a real estate agent brings to the table. First Preston HT offers a great option that avoids the high commission charges while still providing some of the assistance and experience of an agent for a flat fee. Pre-listing Inspection – Opting to have a home pre-inspected before listing can save lots of time by identifying potential problems with the house that a buyer would later find during the inspection period. This allows the seller a chance to fix them before listing the house to hopefully make the closing process seamless and easy. Set a Price – It’s important the seller decide whether they want to sell quickly or wait for the best offer. A real estate agent can provide a market analysis to help in this step. If the seller doesn’t have an agent, they can look at comparable real estate listings in the area to help determine a price. An appraiser could also be hired to complete an analysis of the house. Get it Ready to Show – This includes cleaning and tidying the house as well as staging to make it look appealing to potential buyers. It can be hard to keep the home looking clean for potential showings, especially with kids and toys, but it is an important tip that might help get the house sold quickly. First Preston HT hopes this information leaves you feeling well-informed about the several options and choices available when listing a home for sale. For information on effective ways to manage institutional and individual portfolios nationwide, or to shop for real estate visit First Preston HT. Like us on Facebook. Follow us on Twitter. Whether you look forward to Spring Cleaning with excitement each year or dread thinking about, it’s time to dust of your gloves, and grab a spray bottle for Spring Cleaning with the First Preston HT team! For homeowners and renters alike, it’s important to keep your home free from built up dirt and dust. Taking the time to Spring Clean can not only de-clutter your home but your mind as well once it is finished. The list of chores to complete can seem daunting for many, especial for those with tight schedules. If your time limited and you might want to hire a house cleaning service to take care of all the dirty work for you. For those who are more money conscientious or just like to tackle D.I.Y. projects, Maratha Stewart provides this great Spring Cleaning Checklist for your convenience. Her list guides you through each room of most homes and I have provided a few favorites below. The Kitchen: Dust refrigerator coils – Make sure to turn off power at the power source. Coils are usually located at the bottom of the refrigerator, under the grill. Clean coils with the crevice attachment of a vacuum or a specialty refrigerator-coil brush. Defrost the freezer – Turn off the power at the circuit breaker or fuse box. Empty out the freezer’s contents and then wipe the interior clean with a mixture of 2 tablespoons baking soda per 1 quart hot water. The Bathrooms: Discard expired cosmetics and beauty products – Place these items in a trash bag and keep it out of reach from children and animals. Update FIRST-AID KIT – In addition to bandages and ointments, the kit should contain a list of emergency numbers, particularly the one of the nearest poison-control center. The Closets: Replace cool -weather clothing with warm -weather clothing – Clean garments before storing them in zippered sweater or blanket bags to keep moths out. Donate apparel you no longer use – Various charities are more than happy to take old clothing off your hands and may even send a truck to pick it up. Be sure to ask for a receipt for tax purposes. Outdoor Spaces: Clean Porch Ceilings and Walls – Sweep out cobwebs and debris with a broom, and wash walls with an all-purpose cleaner and water using a polyester sponge. Scrub decks, patios, driveways, and walkways – Treat mildew spots with a combination of 1 part oxygen bleach to 3 parts water and use a deck brush. Wash outdoor furniture – Most materials, including aluminum, plastic, wood, and wicker, can handle a solution of mild dish-washing liquid and water and a soft-bristle brush. Inspect light fixtures – Wash covers and check for damaged connections and wires. The entire checklist is quite thorough so it might be helpful to divided the list up by room and spread out the Spring Cleaning over a few weekends. First Preston HT wishes you happy spring cleaning! For information on effective ways to manage institutional and individual portfolios nationwide, or to shop for real estate visit First Preston HT. Like us on Facebook. Follow us on Twitter.